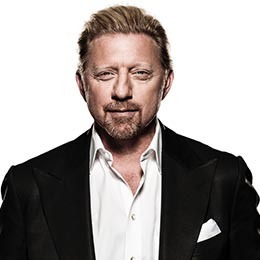 JULY’S SPEAKER WAS INTERNATIONALLY RENOWNED TENNIS SUPERSTAR, MEDIA COMMENTATOR & ENTREPRENEUR, BORIS BECKER. MODERATING THIS MONTH’S SESSION WAS AWARD-WINNING BROADCASTER & TV PRESENTER, RACHEL BURDEN. Boris Becker is one of the world’s most successful and recognisable sports icons, who in 1985, at the age of 17, became – and remains – the youngest ever Men’s Singles winner of Wimbledon. During his illustrious playing career Boris won 6 Grand Slams, on his way to reaching world number 1 status. Boris retired at the top of his game in 1999 and later coached one of the greatest ever players, Novak Djokovic – a perfect example of Boris’s aptitude for nurturing successful partnerships. Swapping the court for the studio and his racket for a pen, Boris’s dominance followed him into the media world, as a regular tennis commentator for Sky and the BBC, and a writer for publications such as The Times. Boris’s appeal stems from his reputation as one of the most intelligent and shrewd sportsmen of a generation. He never lacks a trenchant, eloquent, fascinating viewpoint on the game, its status, its characters and its traditions. Boris carries this into branding, business and beyond, touching on themes such as ‘Adapting to Change’, ‘Partnerships’, ‘Managing Teams, ‘Enabling & Influencing’ and ‘The Business of Winning’. 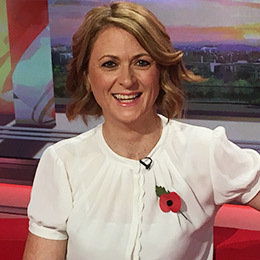 Rachel Burden is an award-winning broadcaster, recognised for her tenacity and warmth by millions of listeners and viewers of the BBC Radio 5Live Breakfast show and BBC Breakfast. Rachel’s diversity sees her work across news, sport, business and entertainment, including major national and international stories such as the 2017 US Presidential elections, recent European terror attacks and the Olympics. Rachel is committed to supporting women in the workplace, as a mentor for female colleagues, and an active member of the campaign for equal pay.